Gun West Coast midfielder Elliot Yeo is tied with Richmond’s Dylan Grimes in the race for the Gary Ayres Award recognising the best finals player in the eyes of the coaches. 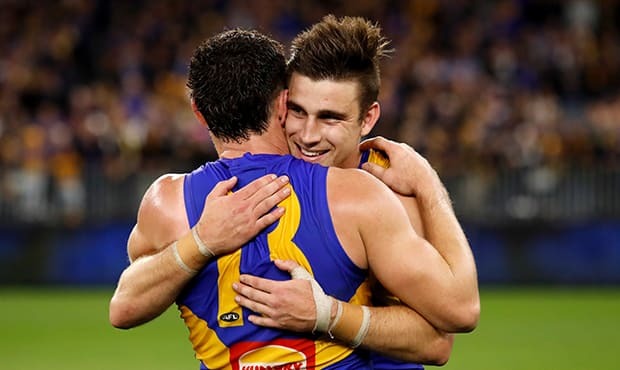 Yeo received a perfect 10 votes for his stirring performance against Collingwood on Saturday night where he amassed 29 disposals, 24 contested possessions, nine tackles and nine inside 50s. The reigning John Worsfold medallist narrowly edged Jack Redden for top honours. Redden collected seven coaches’ votes from Adam Simpson and Nathan Buckley for his 32-disposal, 12-mark, four-clearance and three-tackle effort at Optus Stadium. Jeremy McGovern also featured in the votes, collecting two for his game that featured 18 disposals, 12 intercepts, nine marks, eight one percenters and six rebound 50s. Every round, the AFL coaches vote for the best players from their game. The coaches vote for five players, giving them a mark from 1-5. The maximum a player can score is 10 (with five votes from both coaches).